Kevin Penders is Counsel with the firm's Energy & Telecommunications and Cleantech and Renewable Energy Law groups, practicing from our Boston office. As the former General Counsel to the Massachusetts Department of Public Utilities (DPU), his clients benefit from his extensive career immersed in the regulation of electric power, natural gas and water companies. Kevin advises clients seeking regulatory outcomes that will improve service quality, ensure consumer protections, create a more resilient and modern grid, and enhance safety and reliability of investor-owned utilities, transportation network companies and natural gas pipelines. He works closely with developers, consumers and industry associations to develop regional energy solutions. During his time at the DPU, he oversaw a staff of 25 and the issuance of more than 2,000 orders relevant to the regulated utility industry in the Commonwealth. He was part of the team that created the regulatory oversight of the Transportation Network Company industry and worked to ensure energy efficient and renewable energy deployment to meet the Commonwealth’s clean energy and climate goals. Prior to his role at the DPU, Kevin was Partner at a regional law firm specializing in energy and public utility law, representing clients before administrative agencies on issues concerning rates, forecast and supply planning, corporate financing, energy procurement, energy efficiency, and facility siting. In 2006, he served as the Manager of Regulatory Relations for New England Gas Company, a local distribution gas company serving over 350,000 customers in Massachusetts and Rhode Island. And, following the merger of the two companies, he was the Manager of Regulatory Relations for National Grid’s U.S. Transmission Division. 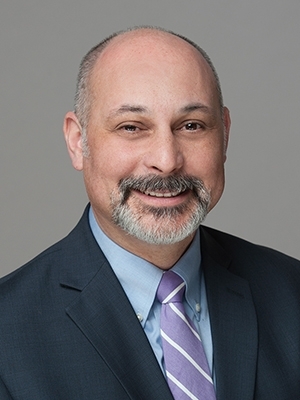 He has also worked for the Commonwealth as a Hearing Officer for the Massachusetts Department of Telecommunications and Energy (now the DPU) and as the Deputy Counsel for the House Committee on Taxation. Kevin serves in dual roles as Counsel in the Energy Practice Group and as Policy Advisor with the firm's affiliated public affairs firm, Preti Strategies. ​​He is a graduate of Saint John’s Preparatory High School, the College of the Holy Cross and New England School of Law. He and his wife reside in Foxborough, MA, with their three children.